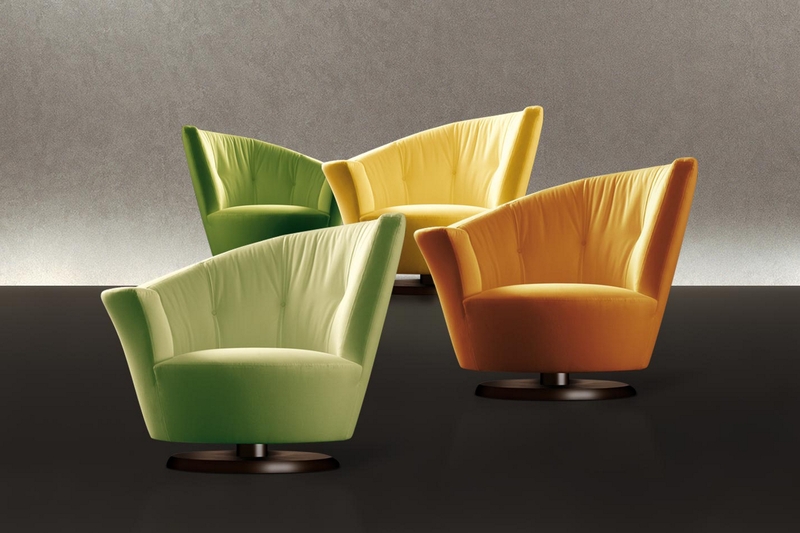 Arabella is a swivel armchair designed with an angular right or left arm and varnished base structure in bronze finish. The frame is in multi-layer poplar wood. The backrest has an internal frame made up of harmonic steel springs that enables the elasticity and makes the support ergonomic. The padding of the seat and of the backrest is in flexible multi-density expanded polyurethane, covered with polyester fibre. The base is composed of a wood fibre panel covered with varnished turned metal in bronze finish and of a steel device with ball bearing for the rotation. The spring-loaded wheels of the base allow the piece to be moved easily. The upholstery, completely removable, is available in fabric, in leather or leather for the seat and fabric/leather for the rest. 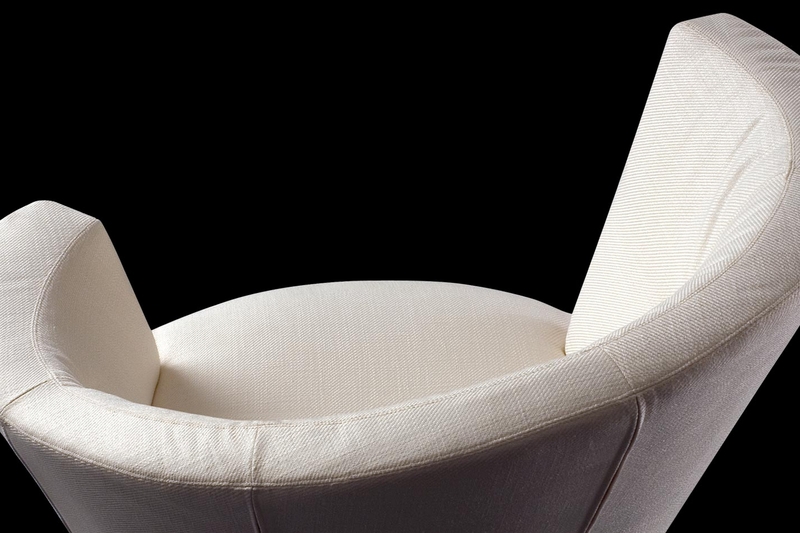 A stretch fabric connects the several parts of the back upholstery facilitating the elasticity. An elastic string fixes the buttons allowing the cover to be removed.